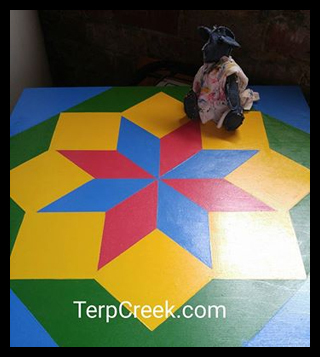 Painter Pete is almost done with this 2 foot Rolling Star wooden barn quilt block. This block will be mailed to Wisconsin later this week. Busy day for Painter Pete! 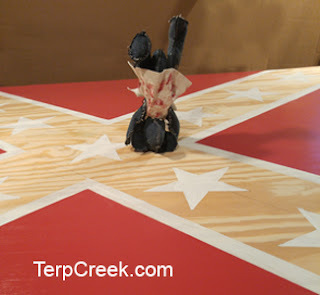 Four foot Confederate Flag wooden barn quilt front is all done. He is so happy! Now to paint the edges and let it dry. 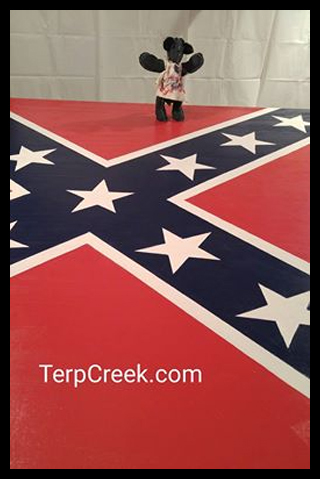 It will be mailed to Ohio Friday. Wooden Barn Quilt Blocks can be ordered at TerpCreek.com Painter Pete is for sale too. 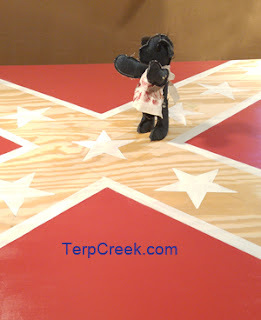 If you want him let me know through the contact us page on the TerpCreek.com site. He is $20 and comes with his paint apron. Painter Pete is just putting on the first coat of blue paint. 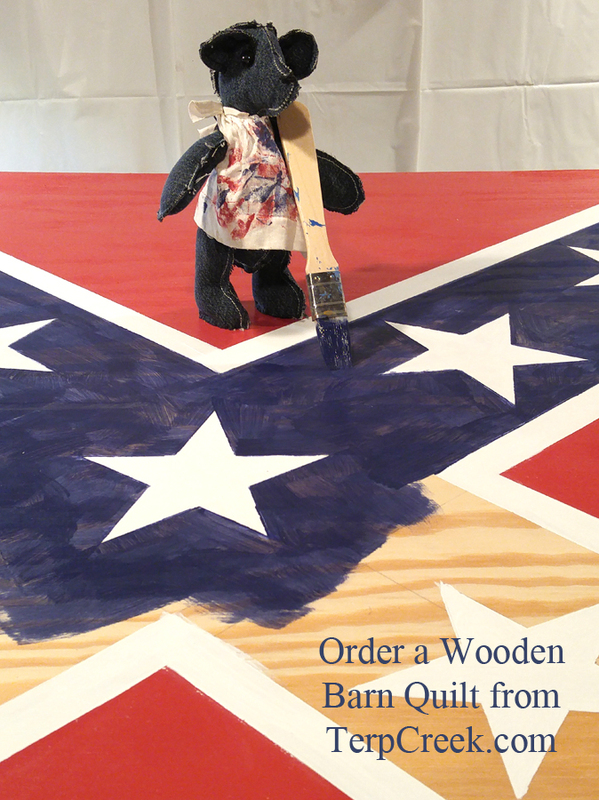 This is a four foot square Confederate Flag Wooden Barn Quilt.